Mother’s day is not a 1 day celebration but a day to be celebrated and cherised every day. Motherhood is not just assocaited with mother but it can be anyone who takes care of you like a mother, it can be a sister/ grandmother/brother/ father. Motherhood has nothing to do with gender. Even a male can have the feeling of motherhood. There are many single fathers who play the role of mother as well as father for their kids. We do not realise the role and importance of our mothers. Ask them what a life is without mom who have lost their moms. Tomorrow mother’s day will be celebrated all over the world. 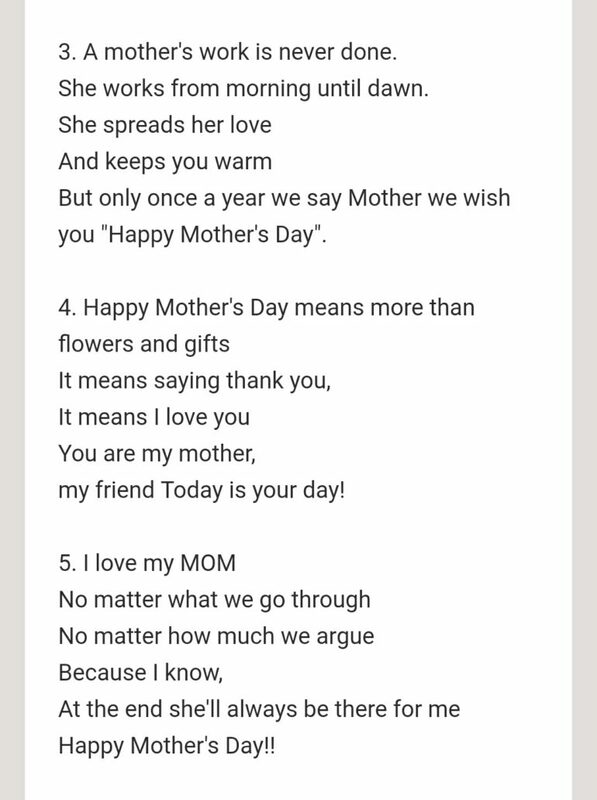 Most of us will be greeting our mothers in our own ways, few will be gifting or others expressing by writing down something or few others in their pown way. Still for those who want to greet their mothers but face difficulty in expressing themselves. 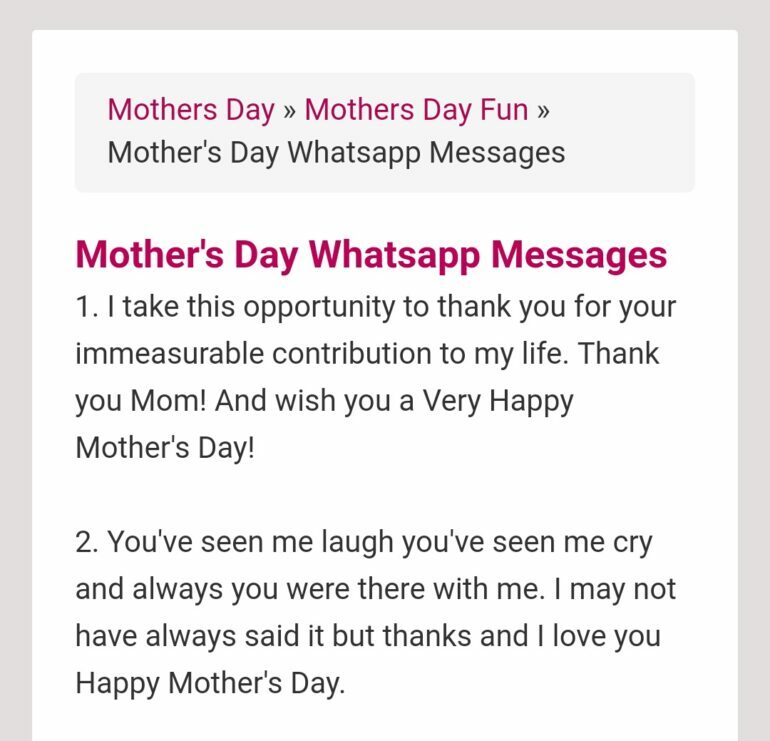 Here are a few mother’s day whatsapp messages to send the mothers in your life tomorrow on 13th May, the second Sunday. More than sending messages putting up whatsapp status is more in trend. So, for all who want to put their status, here are a few such whatsapp status for you guys.